Thank all, I lived in Florida for 20 years on the intercontinental waterway and saw this many times myself. So Sad. 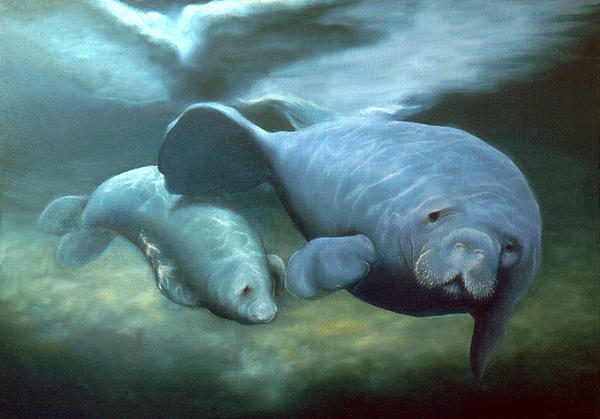 Anni, you've done an exceptional job of painting these two, I see a lot of them with scars in the water here, as per your description. F/V. 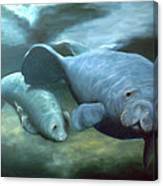 Mother and baby manatee oil painting - Manatee Madonna by artist Anni Adkins. 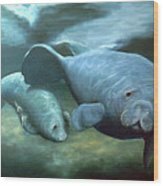 I did this touching painting of the Manatee mom with her little baby as a way to draw attention to the damage motor boats cause to the Manatees. 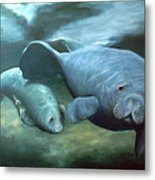 The baby has a missing fin.